WASHINGTON, DC, February 29, 2012 (ENS) – The U.S. Supreme Court has unanimously overturned a Montana State Supreme Court decision requiring the electric utility PPL Montana to pay millions in rent for the use of riverbeds under portions of three rivers in Montana – the Missouri, Madison, and Clark Fork Rivers. The ruling involves PPL Montana’s appeal of a state court decision that the utility must pay $41 million in rent for riverbed use between 2000 and 2007 and an undetermined amount of rent going forward, to Montana for the use of riverbeds beneath its hydroelectric plants. Some of the power stations have been generating electricity for more than a century and the utility has been paying rent to the U.S. Treasury. “We’re pleased that the U.S. Supreme Court has overturned the Montana court rulings in this historic case,” said Robert Grey, senior vice president, general counsel and secretary of PPL Corporation, headquartered in Based in Allentown, Pennsylvania. “Any contrary decision could have serious future implications for other Montana streambed users including ranchers, irrigators, cities, dock owners and recreational users,” he said. In view of the Supreme Court’s decision on riverbed ownership in this case, Montana Attorney General Steve Bullock said the ruling does not affect the ability of people to access streams for recreation. At the core of this case is the complex question of who owns the beds and banks of rivers, particularly rivers flowing through the various states in the Western United States. PPL Montana owns and operates 10 hydropower facilities on riverbeds underlying segments of the Missouri, Madison, and Clark Fork Rivers. Five hydroelectric dams on the Upper Missouri River are along the Great Falls reach, including on the three tallest waterfalls; and PPL’s two other dams on that river are in canyons on the Stubbs Ferry stretch. These, together with two dams located in steep canyons on the Madison River, are called the Missouri-Madison project. 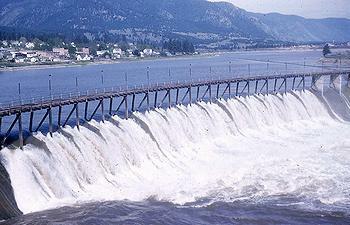 The Thompson Falls project is a facility on the Clark Fork River. Both projects are licensed by the Federal Energy Regulatory Commission. PPL’s facilities have existed for many decades, some for over a century, but until recently, Montana, though aware of the projects’ existence, sought no rent for use of the riverbeds. Instead, the understanding of PPL and the United States is that PPL has paid rents to the United States. In 2003, parents of Montana schoolchildren filed a federal lawsuit, claiming that PPL’s facilities are on riverbeds that are state owned and part of Montana’s school trust lands. 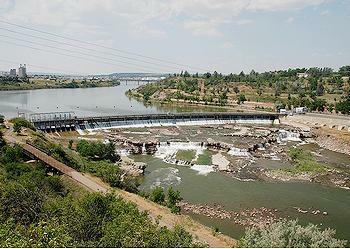 The State joined the suit and, for the first time, sought rents from PPL for its use of the riverbeds. That case was dismissed, and PPL and other power companies filed a state-court suit, claiming that Montana was barred from seeking compensation for PPL’s riverbed use. Montana counterclaimed, contending that under the equal-footing doctrine it owns the riverbeds and can charge rent for their use. The trial court granted Montana summary judgment as to navigability for purposes of determining riverbed title and ordered PPL to pay Montana $41 million in rent for riverbed use between 2000 and 2007. The Montana Supreme Court affirmed. But PPL Montana appealed that decision to the U.S. Supreme Court. The issue arises under the U.S. Constitution, and must be addressed under principles of federal, not state, law, according to the law firm Holland & Hart, which was part of the multi-firm team that handled the lower court proceedings and preparation for the oral argument before the Supreme Court on December 7, 2011. The Supreme Court held that the reach of the river on which the Great Falls of the Missouri and five of the hydroelectric power facilities at issue are located, was not navigable for title purposes at the time of Montana’s statehood, and thus that Montana is not entitled to rent for the use of those riverbeds by PPL Montana’s facilities. The Court based its reversal in part on the improper reliance by the lower courts on regulatory navigability case law in a title dispute. In its unanimous ruling, the Court rejected Montana’s reliance on present day recreational use of the rivers, including by anglers in modern drift boats, as evidence that the rivers had been susceptible of commercial navigation at the time of Montana’s statehood in 1889. Grey said PPL Montana appreciates the diverse support it received in its appeal from organizations that include the Montana Water Resources Association, Montana Farm Bureau, the Edison Electric Institute and the National Hydropower Association, as well as the U.S. solicitor general. PPL Montana provides energy from coal-fired power plants at Colstrip and Billings, as well as 11 hydroelectric plants along West Rosebud Creek and the Missouri, Madison, Clark Fork and Flathead rivers. It has a combined generating capacity of more than 1,200 megawatts and has offices in Billings, Butte and Helena. As of December 31, 2011, PPL Montana’s total loss accrual was $89 million and includes the original judgment of the Montana courts plus the company’s estimate of interest and rent that would have accrued beginning in 2007 under the state court’s ruling. PPL Montana’s parent, PPL Corporation, on Monday announced increased fourth-quarter and year-end 2011 earnings due to the favorable U.S. Supreme Court decision affecting the company’s hydropower generating operations in Montana.